Caffeine, the world's number one drug of choice. You probably don't realise that you're partaking in the human race's favourite brain-altering psychoactive substance when you're sipping on your morning flat white or cup of REIZE before the gym, but you are. Why do we humans love this delightful chemical so much? Is it more than just a pick-me-up? What are the short term effects of caffeine? Let's discuss. Caffeine (C8H10N4O2) in its purest form is a bitter white powder, not unlike cocaine. And in that form, it has a slightly wordier name: Trimethylxanthine. Try saying that three times fast. Caffeine is naturally produced in a number of plants across the globe. Most commonly found in the glorious coffee cherry seeds (a.k.a. coffee beans). It evolved coincidentally across most continents. Scientists originally theorised that it evolved as a pesticide to protect plants from their predators, this theory is now being revised as it turns out, some bugs love it just a much as humans do. What are the Short Term Effects of Caffeine? In humans, caffeine effectively tricks the brain into thinking it is not tired. This happens because caffeine looks almost exactly like a molecule that is naturally present in our brain, adenosine. Your nervous system is actively monitoring adenosine levels through receptors. Normally when adenosine levels reached a certain point in your brain and spinal cord, your body will begin to fall asleep or start getting tired. Because caffeine looks like adenosine, it can bind to the same receptors, preventing adenosine from letting you know you are tired. Therefore, you stay alert and focused for longer. As Joseph Stromberg writes for the Smithsonian, "Caffeine can fit neatly into our brain cells’ receptors for adenosine, effectively blocking them off..., thereby generating a sense of alertness and energy for a few hours. Additionally, some of the brain’s own natural stimulants (such as dopamine) work more effectively when the adenosine receptors are blocked, and all the surplus adenosine floating around in the brain cues the adrenal glands to secrete adrenaline, another stimulant. For this reason, caffeine isn’t technically a stimulant on its own... but a stimulant enabler: a substance that lets our natural stimulants run wild." Are the Short-Term Effects The Same For Everyone? Because caffeine is a chemical, and we are all just a bunch of chemicals making our way through the world, our bodies react to different substances in different ways. For instance, your friend might be allergic to peanut butter but you love it so much that you have considered forsaking all other foods for it. The peanuts themselves aren't 'wrong', 'evil', or 'bad', they just affect your friend in a different way. It is the same for caffeine. Some people are sensitive to its effects and so may experience the effects of caffeine to a more extreme extent than others. So you’re happy, alert and aware. However, it won’t refresh you, it can’t undo a week of long nights and early mornings. It can give you a boost in the moment when you need it most. But eventually, you will need a good night of sleep to properly recharge. What Are the Most Common Side-Effects of Caffeine? The effects will vary, in length and strength of the effect, from person to person, depending on genetics, other physiology factors, and tolerance. Many other factors can impact the effects of caffeine, meaning you should learn how it affects you personally, as what is right for you, may be wrong for your neighbour. Usually, the main side effects of caffeine are improved alertness, better reaction time, faster recall, better memory retention, more energy, increased physical performance and stamina, increased heart rate, increased body temperature, improved mood, and lastly an increased need to urinate. However, it's good to remember that everyone reacts differently. Although the effects on someone's heart rate and stamina are not in doubt, there is some debate on whether caffeine will improve your physical performance. It is considered a banned substance at many sporting events. But, in a recent double-blind, repeated-measures, cross-over designed experiment of seven resistance trained and seven non-resistance trained male subjects found that athletes might just need to believe they had caffeine for their performance to improve. They observed an improved performance of weightlifting in untrained individuals that received caffeine and those that received placebos. Plus, they observed no improved performance in trained individuals. Meaning that caffeine may be beneficial for improving performance in resistance training when you first begin weightlifting. But once you know what you're doing, it's all in your mind. What are the Most Common Forms of Caffeine? Just look around your home. Caffeine can be found on the ingredients list of many foods and household products. Including coffee, tea, most energy drinks, soft drinks, painkillers, chocolate bars, protein bars, face masks, moisturisers, and more. Energy drinks in Australia are strongly regulated and must comply with the Australia New Zealand Food Standards Code. Some contain up to 80mg of caffeine per 250ml, the same as a cup of instant coffee. This means that the majority of energy drinks contain the same, or lower, levels of caffeine as a cup of instant coffee. And less than half the levels found in a standard espresso. Other ingredients included in energy drinks have other stimulating effects or can heighten the effects of caffeine, like taurine and ginseng. Just like any other psychoactive drug, you can overdose on caffeine. That's why energy drinks have to have a recommended daily dosage on the label. And often recommend to not be consumed by children younger than sixteen years old. This is because, as I mentioned above, caffeine affects different people in different ways. Barbara in the office might consume six cups of coffee a day in order to make it through to hometime, but Alan might be buzzing all day from one single cup of joe. Excessive levels of caffeine can cause heart palpitations, nausea, vomiting, headaches, becoming delirious (be confused, have hallucinations, or be very excited i.e. 'giddy'), insomnia, nervousness or anxiety, and can even worsen cardiovascular disorders. They can make underlying conditions like anxiety disorders and heart conditions worse. But again, it's different for everyone. Can You Kick the Caffeine Habit? Absolutely. If you feel that caffeine doesn't have a great effect on you, like maybe you are having difficulty sleeping or you have increased anxiety, caffeine is actually relatively easy habit to kick. You only need to get through about 7-12 days of symptoms without consuming any caffeine. During that period, your brain will naturally decrease the number of adenosine receptors on each cell, responding to the sudden lack of caffeine ingestion. If you can make it that long without a cup of joe or an energy drink, the levels of adenosine receptors in your brain reset to their baseline levels, and your addiction will be broken. You might not be the most pleasant person to be around. Your mood levels will be affected (due to decreased dopamine). Plus, you will experience headaches and probably a little dehydration. But afterwards, you'll be good as new! Everyday fitness and improving one's health habits are all the rage. It’s almost like people actually want to be healthy. If you are mesmerised by the constant influx of Instagram #cleaneating posts and fitness journeys, don’t be. Leading a healthy and happy lifestyle is not as difficult as it may at first appear. Making simple changes to your lifestyle can set you on the right path, every little bit helps. You just need to get going if you want to level up your life. There are lots of advice blogs, websites, podcasts, apps, and Instagram accounts dedicated entirely to this very topic. It turns out, you sort of are what you eat. We all know the basics: fruit and veggies good, sugar bad. But, sugar is damn tasty. Finding alternatives to unhealthy foods in your diet can set you up for success. All that’s required is a little googling and patience. Forget about counting calories. Checking every nutrition label before chowing down is annoying (to say the least). Instead focus on meals that include a variety of nutrients, colours, and fresh ingredients. Think about the kinds of food that you have every day, and sub out certain ingredients for healthier alternatives. Do you love those quick oats pre-made porridge or oatmeal mixes? Make a healthier version: overnight oats. For snacks, swap store bought (and full of sugar) peanut butter for homemade nut butter. Have fruit instead of lollies. A fistful of almonds instead of a fistful of chips. Every little bit counts. To make your new healthy-eating habit even easier on yourself, plan ahead. Buy in bulk and divide into portions. Buy whole grains and low sugar foods. Steer clear of processed foods, if you can’t grow it, don’t eat it. Monosodium glutamate doesn't grow on trees. Neither does high fructose corn syrup or Yellow No. 5. Don't fall for reduced fat or low-fat promises on labels. Turns out, a lot of fats are good for you. And, those 'reduced fat' items fill in the lack of flavour with sugar which is actually what packs on the calories, not fats. It might seem a little obvious, but actually, we are probably all a little dehydrated right now. Scientists say you should drink when you are thirsty, so that whole 'eight glasses a day' thing is rubbish. It is critical to stay hydrated. Now, that doesn't mean you should constantly be pouring water down your throat, but you should keep a glass of water on hand nearby for sips. Or invest in a reusable water bottle. Not only will this keep you hydrated, but often when we think we are hungry, we are actually thirsty. Plus, water helps fuel your body so you can reach your everyday fitness goals. Let's get this straight, dehydration is not fun. Studies have shown that even mild dehydration can have negative effects on your mood and energy levels. That headache you get when you wake up, that's your brain telling you it is drying out. Have a glass of water in the morning to rehydrate and eliminate that headache it will also help moves things along for your morning deuce. Other side effects of dehydration include bad breath, dry skin, muscle cramps, and food cravings. Keep all this at bay with a simple glass of water. Not that tough, is it? It is a truth universally acknowledged that daily exercise is a good thing for your health. It's impossible to talk about 'everyday fitness' without talking about how to get fit. I'm not saying you need to head out for a daily 5K run, but it is really easy to make some small adjustments to your everyday lifestyle to level up your fitness, health and overall well-being. It may seem like a too simple to be true, but that's why it's the first step on your way to upping your everyday fitness levels. Instead of catching the bus to your local supermarket for your grocery shopping, walk. Take the stairs instead of the elevator. If it is within your means, walk to work, or get off a stop early on your bus or train commute and walk the rest of the way. Adding in a little light exercise can reap wonders on your fitness levels. Also, bonus tip, don't spend your entire day sitting at your desk. Invest in an adjustable standing desk (or a sit/stand desk) so you can alternate between sitting and standing. If that doesn't appeal, take a walking break to the kitchenette or break room to brew a cup of REIZE, or step out for some fresh air. Give your brain a break, and your legs a stretch. There are many habits that shouldn't be part of your day, but walking more is one of the health habits we can support! There are billions of different sports out there from basketball to surfing and weight-lifting to Quidditch. You're not going to love all sports or be good at all of them. Some people love working out in the morning on a treadmill, some people like to sweat it out in an HIIT course after work; others love to get a run in during their lunch break. Try out a few different ones that you might actually like. There is no point pushing yourself through an exercise that you do not enjoy. You will most likely suffer through two weeks and then promptly forget about it. Listen to your friend's suggestions or check out some fitness centres or gyms nearby. Often, gyms will provide free passes for potential new members to check out their premises and try a couple classes. And contrary to popular belief gyms are not just havens for eight-pack wielding muscles masquerading as humans, you will find people of all ages, genders, and fitness levels. People are there to level up their lives, it's the place for you if you want to level up your fitness. It can be difficult to actually motivate yourself to workout. Your work day can be long and stressful and not everyone is a morning person. If you find you always need a boost to get you going, then don't forget to pack some REIZE to get you going in the morning, afternoon, or evening to ensure you get that workout and push yourself to your everyday fitness goals. This suggestion doesn't work for everyone, but if you need a little encouragement or healthy competition, get one of your friends to try out a new class with you. Before you know it the two of you could be racing each other in the next Tough Mudder competition! Alternatively, you could interpret your new working buddy as a PT. Personal Trainers are a great resource if you can afford them and are willing to listen to them. Gyms often employ or recommend personal trainers if you are interested in having a more directed work out. However, getting a PT is a bit like accidentally locking yourself into a sauna with an angry cat - intimidating, scary, sweaty with a high chance of tears. What an age we live in! Nowadays you don't necessarily need to join a gym or get a PT to level up your everyday fitness. In today's world, you can download numerous (and free) apps from the Google Play and Apple Store that will provide you with straightforward workouts. If you love a good story - especially one with zombies why not try out Zombie's Run!? A running app that simulates zombies chasing you so you pick up the pace! Or any of the numerous 7 minute HIIT apps that involve 7 minutes of high energy workouts, including planking, jumping jacks, lunges, push-ups, and triceps dips to give you a quick all body workout that will make you break a sweat. You could knock out one of those during your lunch break. Make exercise a priority in your goal for everyday fitness. All work and no play make you a very dull person. Your new health habits should include enabling a healthy balance between your work and your personal life. If you have found a job you love and a career that you are flourishing in, that's great, but it shouldn't define your entire life. Unless you are on the brink of a cure for cancer or diabetes. Or are solving world hunger. Or are Elon Musk. Actually, if you are Elon Musk you can do whatever the hell you like. Thanks for the Teslas, batteries, and making sci-fi dreams of space travel real. A work-life imbalance can be a huge source of stress. And while a healthy diet and exercise can help relieve stress, if you are really looking for new health habits to level up your life and everyday fitness, then you should aim to minimise stress in all avenues of life. First of all, don't bring your work home with you. This is one of the most crucial health habits. If you work from home, have a designated working area, like an office or a desk. Leave the spreadsheets and emails alone when you are on your off hours. Catch up with your friends and family, surf the web, head to the gym, or binge on Netflix. On the flip side of that tip, respect work hours. Someone is paying you to show up on time, do what you promised, and be reasonably pleasant to everyone. Do not let your personal life take up your work hours with calls to friends or family for hours, or taking extra long lunches. Being the best version of yourself is a great thing to strive for, but don't wear yourself out. You are human, you are not perfect. No one is. But, as you've already clicked on this article you already know that you want to begin practising healthy habits and upping your everyday fitness. With some of these health habits and tips circulating your consciousness, maybe you can just level up your life, one little step at a time. If you are looking to find the best cheap energy drinks in Australia, you have come to the right place. We offer the cheapest Energy Drinks money can buy. It's as simple as that. We are so sure of this, that we wrote this article linking out to all the best deals that we could find for our competitors. Check it out for yourself! Even if you decide not to buy REIZE, hopefully, we will have helped you find a better deal on your energy drink of choice. Are you craving a buzz, a little lift to your energy levels so you can get through another busy day? Of course, you are! And I’d bet you are weighing the cost of a nice flat white from your favourite barista or the free instant coffee in the break room. We are always on the lookout for finding the best deal and cutting costs where we can in all aspects of our lives. There’s no shame in getting more bang for your buck and with energy drinks, we have a cheap, easy and tasty way to get the energy boost needed to eradicate the afternoon slump. But, we don’t want to break the bank either. So which energy drinks offer the most value? We’ve taken a look at recent and currently live deals from various comparison websites to find the best deals to find the best cheap energy drinks in Australia. It should be noted that for many of these brands, you can sometimes find promo codes online to help to reduce the prices further. We want you to get the best deal, and you can only do that with the best investigation! Before we show you the best deals for our competitors, we want to tell you a bit about ourselves. REIZE is a revolutionary energy drink powder which you can mix any way you like. You can mix it with still water, soda water or brew hot with boiled water. The dosage and control are given back to you, the consumer. You can even experiment with your favourite juice, cocktail and other drinks. Don’t let your imagination limit you. Check out our favourite blends here. The combination of caffeine, taurine and ginseng combines to give you an unforgettable long-lasting boost. Packed with B-Vitamins, REIZE will have you feeling great. We sell REIZE directly from our websites and deliver right to your door! Plus, if you live in Australia, postage is free - can anything be sweeter than free shipping? How about incredible savings? We offer various amounts in our online subscription service. From 12 drinks all the way up to 600 drinks, choose delivered monthly or delivered one-time only. Prices start from under $1 per drink including delivery to your home. See a full list of all of our options here. You can also cancel your membership anytime. No contracts, no lock-in period, no notice required. We're all about giving people what they want with no fuss. We like to make life easy! So, there’s no risk, no worries, you can even skip a couple of months if you aren’t going to be around to enjoy your package or have a stockpile all set up for your enjoyment. Skip a month or increase/decrease your monthly delivery with a couple of simple clicks. You’re in control. And even though you can cancel your membership anytime, we reckon you will absolutely love our drink and join the growing number of people making it their affordable go-to energy boost month in, month out. Red Bull is probably the most recognisable energy drink in the world - thanks in part to their famous tagline ‘Red Bull gives you wings’. You will very rarely have a hard time finding a Red Bull at your local 7/11 or similar. That being said, just because they are most likely the most recognisable brand of energy drink, that doesn’t mean that it’s the cheapest. There are often Red Bull Energy Drink sales on sites like Dan Murphy’s or of course at your friendly neighbourhood Woolworths or Coles. At the time of writing this article, here is the cheapest place to buy Red Bull that we could find. Ebay is a treasure trove for finding deals and online stores often sell through the website. That deal for a 24 x 250ml pack costs just over $40, not including the shipping price of $13.48 for standard delivery, or $25 for express. That deal from Dan Murphy works out to be about $1.42 a drink for a 24 pack slab. This doesn't take into account their shipping fees, which vary depending on where in Australia you are. The more rural your location, the higher your shipping rate will be. The eBay deal works out to be $1.73. So it is good value, just not as good as others, especially REIZE where we will deliver 30 drink sachets for $25 which works out as $0.83 per drink. The other thing working against Red Bull is its form. Red Bull is the eponymous energy drink. Cold, fizzy and in a can. Unlike REIZE, it has nearly zero versatility. Have you ever tried flat room temperature, Red Bull? My advice would be: don't do it. It is not a good experience. Finding a good deal for Moster energy drink for consumers in Australia is tricky. Thanks to American vendors taking advantage of Amazon in the US it is much easier to save a few bucks on bulk buying if you're living in the US. Unfortunately, we don’t have the same luxury and need to rely on supermarkets and online retailers running promotional deals. And it can be hit or miss. At the time of writing, it appeared no deals were available. To coin a phrase from the infamous American president, Donald Trump: 'Sad'. Prices are generally around $12 for a pack of four 500ml - so around $3 a drink - at the major supermarkets Coles and Woollies. And I don't think it will be too long before they have deals in! Keep your eyes out if Monster is your favourite, and if not, why not give REIZE a try? We wouldn’t be doing right by energy drink enthusiasts in Australia by not mentioning V Energy! Is V Energy Drink your drink of choice? Then look no further for some cheap V Energy Drink options. It runs a little more expensive than Monster, but you can usually find it in a six pack for around $13 in major supermarkets. However, we came across a deal for 4 pack of 275ml cans for $4.66, that’s just over $1 a can. And on this deals comparison site, we found a deal for $30 for a 24-Can Case of 300ml V Sugarfree Energy Drink or V Black delivered to your door for $30. Which is about $1.25 a can. Their bulk cases from places like Dan Murphy’s start getting quite expensive (up to $2.99 a drink). So even with Australian brands of energy drinks, REIZE still beats the price! Does saving money make you feel like a Rockstar? We know that's how we feel! Plus, no way can anyone maintain a high profile career without a bit of cash and a good stash of energy drinks. Like Monster, it can be difficult to find a decent deal on American energy drinks on this side of the Pacific. They don't deliver straight from their website to Australia, only to the US - unlike REIZE, we offer free delivery in Australia, but we will post to anywhere in the world. However, it's good to keep your eye on comparison sites if you want to save a few dollars while buying in bulk if Rockstar is your thing. The brand may claim to be the Mother of all energy drinks, but we've got it beat on price! A mother will get you out of bed in the morning! We found a deal for a bulk offer of 15 x 375ml cans for $21.99, that works out to be about $1.47 a drink. Alternatively, on good old reliable Dan Murphy's we found this deal for a case of 24 ($11.49 per pack of 4, or $59.99 per case of 24) that works out to be $2.50 a drink, but the drinks are nearly double the size. But again, this doesn't include their shipping prices, which will obviously increase the prices depending on where you live. If you do some digging, it's easy enough to find a decent deal for Mother online. That being said, at all price points, REIZE still has it beat. You just have to ask yourself, do you want your mother to get you up in the morning, or REIZE yourself on your own terms? REIZE is as cheap as 62c, delivered straight to your home. No coupon required. XS Energy - The Cheapest On The Market? Did you come here looking for XS Energy Drink? Surely REIZE is not cheaper than Amway's own energy drink? Aren't Amway supposed to offer great deals? Well, it turns out ours are also better! You can get an XS™ Mixed Pack Energy Drinks - Pack of 12 for $ 32.80. With this option, you do get to sample all of their flavours, but you don't get the same value that you would get if you got a package of REIZE delivered right to your door. We did our best to find you the best deals out there. Why would we do this? Are we mad? Probably a little bit. We are so confident that REIZE provides a better boost, is tastier and more versatile than other options. And most importantly, REIZE is better value than every other energy drinks in the market. Even if you decide that REIZE isn't for you, we hope we helped you save a few bucks today. Share this post around with your other energy drink deal lovers. See who can find a better deal than the ones we found. GFUEL, LITERALLY GAMING-FUEL, IS THE ENERGY DRINK FORMULA SYNONYMOUS WITH GAMING LIFE AND GAMERS. IT IS PRODUCED IN THE UNITED STATES, BY GAMMA LABS. THEIR ENERGY DRINK POWDER FORMULA CAN BE CONSUMED ANYWHERE IN THE WORLD, BUT IS THERE A SIMILAR PRODUCT CLOSER TO HOME? IS THERE A GFUEL OF AUSTRALIA? This is where REIZE Energy Drinks steps in with an energy drink that is not just better because it's Aussie owned, it's not just better because it has "Optimum Boost", it's just plain better - for many reasons. Whether you're gaming, playing sports or working hard, we are all searching for something to give us an edge. Something to help us win the game of life. We are going to take a look at what is GFuel, G Fuel ingredients and compare GFuel to REIZE. If you live in Australia, and you love to win, then you've come to the right place. 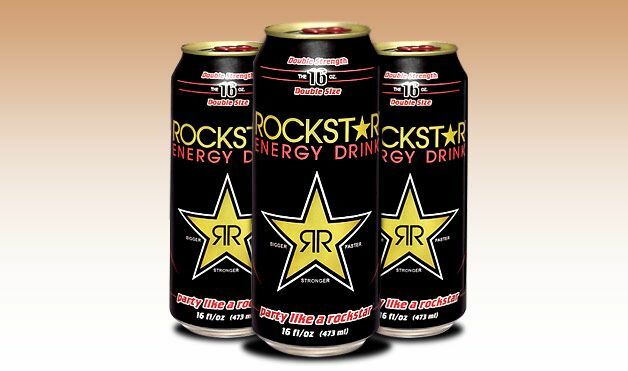 In response to public backlash against energy drinks with caffeine and their links to possible caffeine overdoses, many energy drink powerhouses went through rebrands and reevaluations. The traditional styles of energy drinks, i.e. cold, carbonated, highly caffeinated, and canned versions, were replaced by other products that provided the same kick but in a different way. One of which was GFuel. Another was REIZE, which has been called the GFuel of Australia. To be honest, they are similar in the same way that Red Bull and V are similar. Some things are the same, but they are still different. If you’re a fan of energy drinks you will most likely have heard of GFuel. You will also be familiar with it if you’re a gamer. The ‘G’ in GFuel is for gaming after all. The Sydney Morning Herald even referred to it as gamer's "secret sauce". Their backstory is steeped in gaming. According to their website, their story began back in 2008, when an unnamed pro-gamer started using a pre-workout supplement called Gamma Labs PTF to fuel his performance and career. A professional gamer needs to be constantly focused, even after hours staring at a screen. The PTF was working for him, but it was a bit unnecessary as they didn’t have any need for muscle growth. He wasn't preparing his body for an intense workout. So, the Gamma Lab team created a “specific energy formula designed to increase focus and concentration.” This is their modus operandi. Their “original goal was to create a 100% clean, natural, and healthy alternative to sugar-loaded canned Energy Drinks” to meet the high standards of the most active and hectic lifestyles. To separate the GFuel brand from the more traditional versions on the market, who at the time were receiving some negativity in the press, G Fuel marketed itself as a "healthy energy supplement". They called themselves something distinctly not an energy drink. A “healthier” alternative. Their strategy did pay off, people seemed to accept that they were different for the most part. Although their target demographic - gamers - did not mind what they were calling themselves as long as they got the buzz and focus they needed to pwn n00bs. But the one distinct difference is its form. GFuel is a powdered energy drink where the drinker can decide the concentration levels. REIZE is a 100% Australian owned energy drink pre-mix. Like GFuel the drinker can decide what strength they would like their energy drink. They could make it more or less diluted by the amount of water or other beverage they mix with it. However, REIZE doesn't shy away from the ‘energy drink’ moniker. They know what they are, and they aren’t trying to tell you otherwise. How Do You Serve GFuel? Both GFuel and REIZE come in powdered form. You combine the energy drink powder to water to create a beverage with boosting power. For GFuel, you mix their dry energy drink powder mix into 350ml/12 ounces of water. This is pretty much the same as REIZE. However, GFuel comes in a large range of flavours and sizes. Their current available flavours - they are always adding new limited edition ones - are Fruit Punch, Pink Lemonade, Blue Ice, Watermelon, Lemon, Lime, Peach Mango, Fazeberry and Green Apple. And, How Do You Serve REIZE, The GFuel of Australia? REIZE, on the other hand, has its own distinct flavour, it doesn’t taste like anything else. However, the fact that REIZE has its own unique flavour, makes it stand out even more than GFuel because you can ‘drink it your way’. You can have it cold and smooth with chilled tap water, you could have it hot with boiled water and lemon for a sweet tea, or you could have it carbonated by adding soda water. You can even experiment with your favourite juice, cocktail and other drinks. Whatever the drinker wants, the drinker gets. Gfuel is also available in a variety of sizes. GFuel comes in boxes, packs or tubs. Their tubs contain 40 servings of GFuel. Their packs (or sachets as we call them) contain one single serve and the boxes contain multiple packs. It can be more cost effective to get the tub, but due to their high caffeine content - see below - this can cause problems for anyone with caffeine sensitivity. You could easily serve yourself too much and suffer the consequences. REIZE comes in a single serve sachet which is easy to carry with you, is much more versatile, is a better value than other corporate options, and frankly safer than GFuel. What are the Ingredients of GFuel vs REIZE? G Fuel contains all of the typical ingredients you would expect in an energy drink concoction - besides the carbonated water. They pack GFuel with energy, amino acids, vitamins and antioxidants. Besides the caffeine (150mg) there are 36 functional ingredients along with the natural colours, flavours and artificial sweeteners. GFuel is sweetened with Ace-K and Sucralose. Like REIZE, it doesn’t have any added sugar. REIZE is sweetened with Ace-K and Aspartame. Funnily enough, these are not natural sweeteners, yet GFuel continues to spout the company line that their product is all-natural, when in fact it isn't. Similarly, you'll mostly find the typical energy drink ingredients in REIZE like caffeine, taurine, B vitamins, inositol, and ginseng. Unlike most dissolvable energy drink powders, REIZE contains sodium bicarbonate (baking soda) which helps create the effervescent action of the powder. Caffeine Informer stated on their site that they had never seen this on the ingredients list for an energy drink before and complimented the fact that each 4-gram sachet dissolves easily and quickly with a little fizzing action in 250ml of water - or beverage of your choice - to create an effervescent energy drink. One of the more stark differences between the Gfuel and REIZE is the caffeine content. Caffeine, as many of us know, is the chemical which gives energy drinkers a boost of energy and increased cognitive function. However, caffeine can have adverse effects if you consume too much or if you have a particular sensitivity to it. GFuel contains around 150mg of caffeine per serving - about the same as a cup of coffee - whereas REIZE has just 50mg. This is what REIZE considers to be the "Optimum Level of Boost", providing focus and stamina, but not the jitters and scattered thoughts that can come with too much caffeine. However, GFuel does offer a caffeine-free alternative in their range. How much caffeine is in a serving of G Fuel? Each serving of Gfuel contains 150mg of caffeine. However, only the sachets are measured and deliver a controlled dose. The larger tubs require you to scoop and mix your own drinks, which means the exact amount of caffeine will vary. How often can you drink Gfuel? Treat G FUEL as you would a very strong cup of coffee since the amount of caffeine is very similar. On their website, they suggest starting out with 1 serving a day to see how it feels and then increasing from there based on how much energy you need. Gfuel recommends a max daily dosage of 3 servings - which is actually a lot. Remember that each serving has 150mg of caffeine. Times three and that's 450mg altogether. Food Standards Australia recommends a max daily caffeine dose of about 210 mg per day for adults. Two servings would already to be going over the recommended dose. Take three and the crash might not be worth it. G FUEL Energy Drink Formula is a natural supplement, not a drug. Unlike medications and drugs, GFuel calls itself a dietary supplement. This means it does not require approval by the Food and Drug Administration (FDA). This does not mean that it is dangerous or unhealthy. It just means that they don't need to get approval. However, you can rest assured knowing G FUEL is manufactured in FDA certified facilities and is 100% FDA compliant. These facilities are inspected by and adhere to the requirements of the United States FDA. Similarly, REIZE is manufactured to pharmaceutical standard, is Good Manufacturing Practice (GMP) compliant and ISO-9001 compliant. In simple terms, this means both GFuel and REIZE are very safe. Energy drinks like GFuel and REIZE are not recommended for children or those sensitive to caffeine. We recommend two sachets of REIZE a day. Gfuel advocates a higher serving of its product. We wouldn’t be providing the full story unless we shared our own experiences with the product. You can see from the location of this blog that we have a biased preference for REIZE. But, honestly, the reason we are doing this is not to trick our customers, we believe in our product. You can head over to our review of GFuel where one of the REIZE team members goes through the process of buying, receiving and tasting GFuel in Blue Ice flavour. In the article, he details how he went about getting GFuel, which like REIZE you can purchase directly from their website. GFuel can be purchased in a sachet form or canister. On their website, you can order pre-made packs, tubs, boxes or customise your own version. Unlike REIZE, they do not offer a monthly subscription, a feature which sets REIZE apart from the crowd. What is the Price Comparison? According to our research, and by comparing large quantities, like a tub of GFuel – approximately 40 servings – costs $43.43 USD including delivery. But that’s with using a 10% off discount code. At current exchange rates, February 2019, the amount that one would be charged as an Australian customer would be around $61.26 AUD. Comparatively, a customer can purchase either a 30 pack or a 60 pack of REIZE for either $25 or $45 if you’re a member. That makes the ‘per drink’ cost of REIZE around $0.83 or less, and that price includes delivery. Either way, REIZE is still a lot cheaper and GFuel averages out to be 1.78-1.96 times more expensive than REIZE for similar quantities, including the cost of delivery to your home in Australia. However, REIZE with its optimum boost contains less caffeine. This can be viewed both positively and negatively, depending on your personal tolerance to caffeine. This higher caffeine content in GFuel adds to the price. And then there is the shipping, which REIZE does not charge. But that being said, both energy drinks are seriously cheaper than their cold, canned carbonated counterparts. How much does Gfuel cost? Gfuel costs $1.53 AUD per drink if you order by the tub AND use a discount code. If you buy a smaller amount or you don't have a discount code you should expect to pay even more than that. That's around double the price of REIZE. Gfuel gets a lot of attention thanks to a wide range of influencers that actively promote the brand. The most recent addition is PewDiePie, the world's biggest Youtube celebrity. Does Gfuel have artificial sweeteners? Yes, Gfuel is sweetened with Ace-K and sucralose (Splenda) which is 400-700 times sweeter than sugar. So Is REIZE the GFuel of Australia? If you are a gamer and are looking for a similar product to GFuel on this side of the Pacific, then yeah I guess REIZE could be seen as similar. But, in my opinion, REIZE is its own thing. It's not really like anything else on the market in Australia or anywhere in the world. It is specially formulated with optimum boost. REIZE doesn't want to blow your head off, it just wants to get you into the sweet spot of focus and concentration, for as long as possible. More importantly, it doesn't want to be like something else, it wants to take over, to level up through the ranks of energy drinks and provide everyone with a 'Most Flavoursome' hit of energy. Try REIZE today and you might just find that you prefer it to Gfuel.